Hey Endurance Athletes, Want Your Testosterone Back? It’s no secret that endurance training can lead to reductions in testosterone. Theories behind the reduction of testosterone during endurance training previously revolved around the loss of body mass, increased cortisol levels, and changes in luteinizing hormone. However, there is some debate around this, and the mechanism is not 100% clear. Nonetheless, the reduction of testosterone can have a mildly negative impact on recovery from training and a big impact on your quality of life. Drops in testosterone can result in decreased libido, mood changes, decreased energy, and prolonged recovery from workouts. There are several more symptoms, however these are the most relevant to endurance athletes. Testosterone decreases appear to be correlated to the amount and intensity of training. 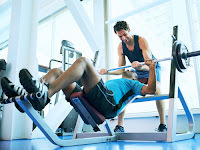 The general rule of thumb is, the longer you train each week, the lower your testosterone level. Interestingly, resistance training, such as lifting weights, increases testosterone, while endurance training decreases testosterone. Research has yet to answer some questions regarding this difference. If I may throw in a completely subjective opinion, I will say that when something like this occurs naturally, there is typically a reason, and that reason is protective against a detrimental consequence. However, for now we must work with the body of evidence we have, and that appears to suggest that lower testosterone negatively affects performance. Testosterone supplementation and hormone replacement is banned in sports. Yes, even for amateurs. Of course, some discretion should be used here. If you are a middle of the pack age grouper without a shot at placing within your age group, your relationship with your wife is hurting because of decreased libido and mood, and you are struggling to be as productive as you should be around the house because of your lower energy, well, the answer of what to do seems obvious. But, cases like this have not been addressed by USADA yet, and the substance is simply banned in sanctioned events. However, if you are a top age grouper, I would strongly advise you against even considering testosterone, unless you may qualify for a therapeutic use exemption (no, “my wife wants me to go on testosterone” does not qualify you for an exemption). Recent evidence has found a high incidence of “cheating” among master’s and age group athletes, and testing on this population is likely to become routine in the future for top age group finishers. In fact, it has already started. Pro’s don’t even stand a chance, they will be caught. Fortunately, there are interventions that may increase testosterone naturally. Here are some of the most effective. Strength Training – adding in a day or two a week of strength training is one of the most effective ways to boost testosterone. If you can keep the intensity high that can further enhance the effects. Do intense 1-2 minute bursts of weight lifting. Zinc – zinc is one of those “tricky” micronutrients in endurance athletes. It is involved in several important pathways that tend to be “used in excess” during training. Therefore, it is often lower than normal in endurance athletes. Zinc is important in testosterone production. 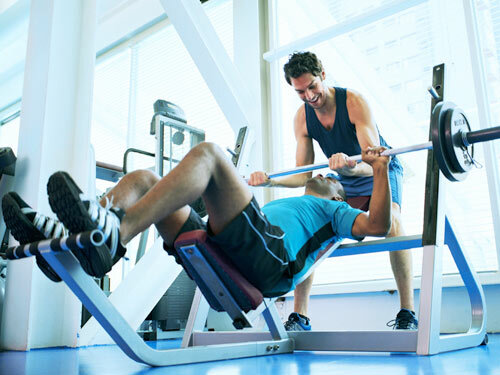 Studies show that zinc supplementation may increase testosterone levels. On a related note, if you supplement iron at any point in your training (and if you do make sure you read my blog post about this), this can cause a reduction in zinc absorption, and thus a decrease in testosterone production. Zinc should be supplemented during iron supplementation. Supplementing zinc at low levels is generally recommended for endurance athletes training more that 8 hours per week. Reduce Sugar Intake – testosterone levels decrease after eating sugar. Diets high in sugar have been associated with reduced testosterone levels in some small studies. More “relations” – having “relations” more frequently increases testosterone levels. Kind of a catch 22. Eat Fats – fats are essential to testosterone production. This includes both healthy fats (avocados, fish oils) and saturated fats (yep, the ones we have been told are terrible for us all of these years). Studies show that increased fat intake may be correlated to increased testosterone. Now you have an excuse to eat bacon one day a week! Eat eggs – egg intake is shown to increase DHEA-S, which in turn leads to more testosterone. Get enough protein – endurance athletes should at least consider supplementing whey protein during peak training. This should be considered on an individual basis. However, most athletes could benefit from this, and it can help maintain higher testosterone levels.